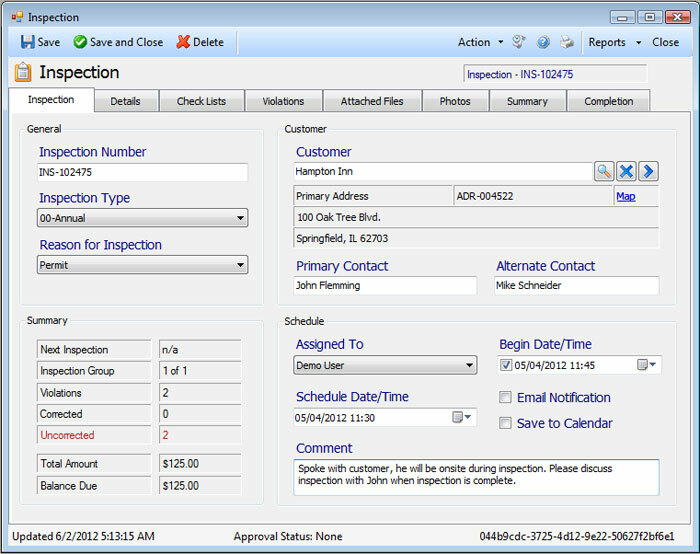 Inspection Files ™ is a flexible enterprise solution for inspection professionals. With clients in both Fortune 500 ® companies and government agencies, inspectors find our mobile-ready solution easy to use on a laptop, tablet pc or workstation. 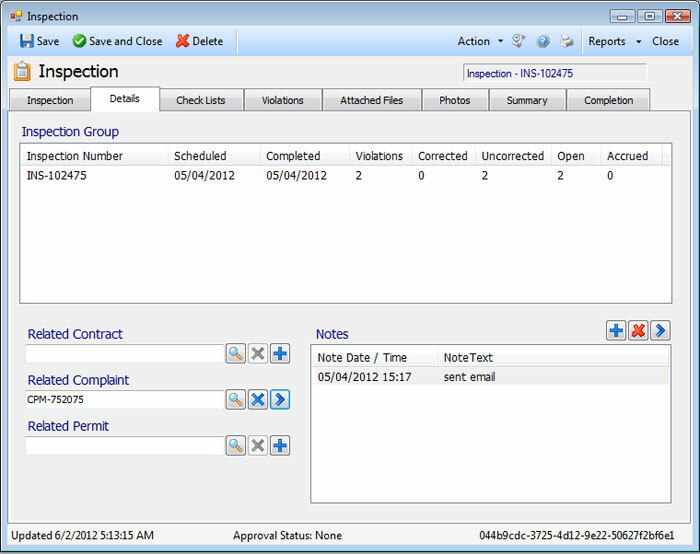 Empower your users to complete more inspections and automate tasks, such as billing and scheduling in the back office. This software is designed by leveraging experienced industry professionals and a wide customer base to produce a records management system that is user friendly, practical and standards compliant. With one system, your organization can increase revenue and improve productivity, while maintaining safety standards and code enforcement. Out of the box, Inspection Files includes 10+ modules for Inspections, Permits, Complaints, Invoices, Maintenance Logs and more. And with only a few clicks, users can print/email professional real-time reports in the field or at the office. Because every organization is a little different, our software is customizable to fit the needs of your organization. For example, Checklists and Code Books pertinent to your organization can be imported to get inspectors up and running quickly.